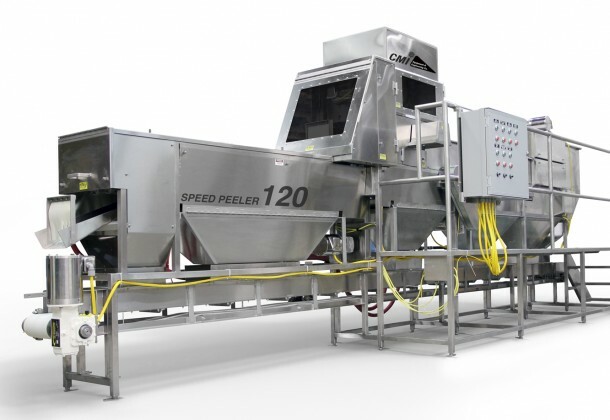 Our onion peeler is designed to trim and peel onions quickly and efficiently. 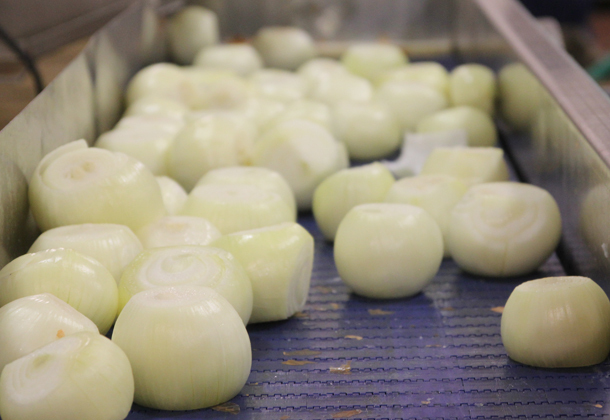 The specially designed belt transfers them through a waterless process resulting in clean, peeled onions with minimum waste. 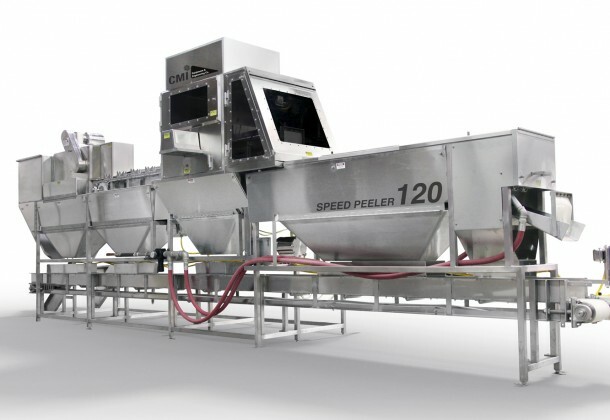 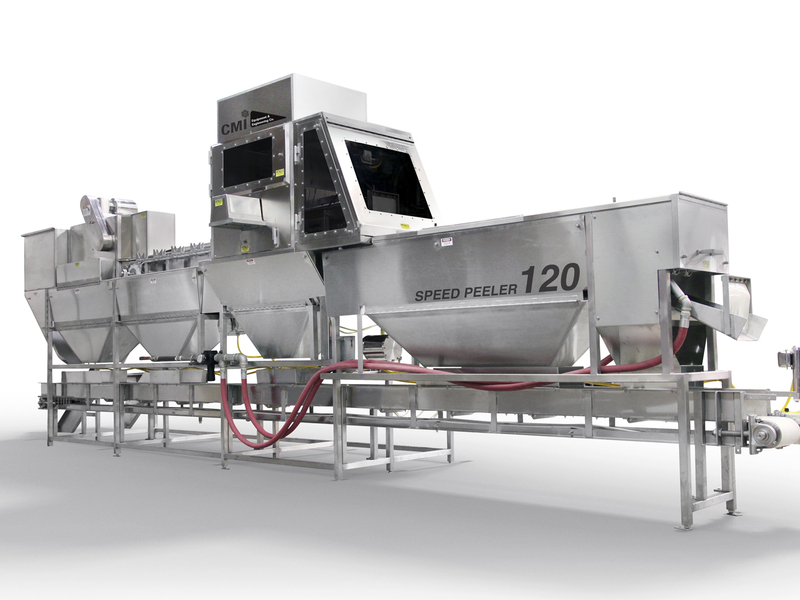 Onions are transferred over the scoring blades by a paddle belt, then discharged into a bin. 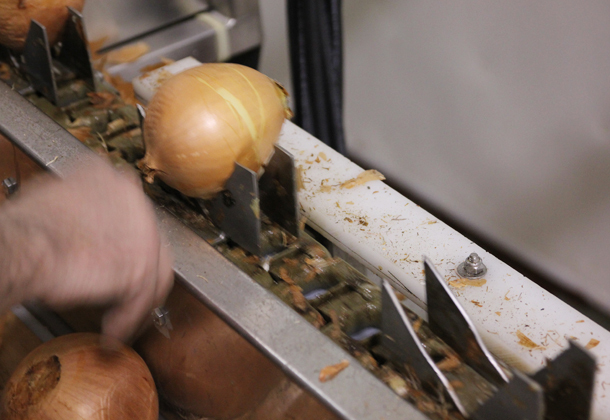 The operator places and orients the onions on the belt, which carries them through the topping and tailing process. 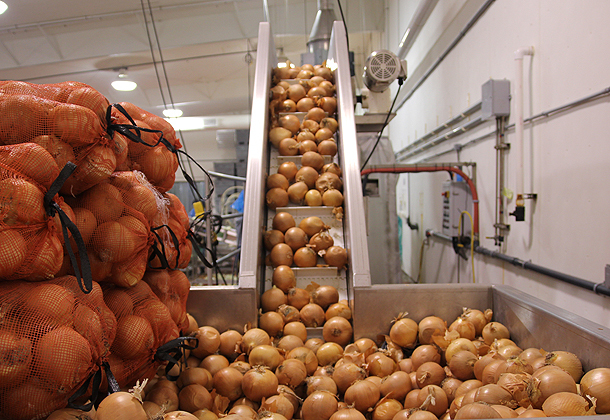 The onions drop off the belt into an air tunnel that removes the outer skins, which are discarded as waste. 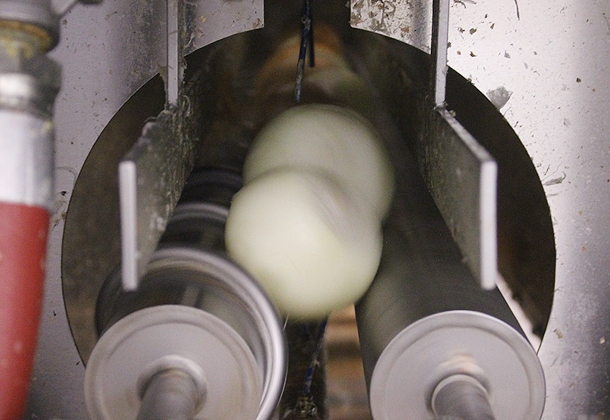 An auger assists the onions onto a chute, releasing them for the next step.